"You have entered paradise! 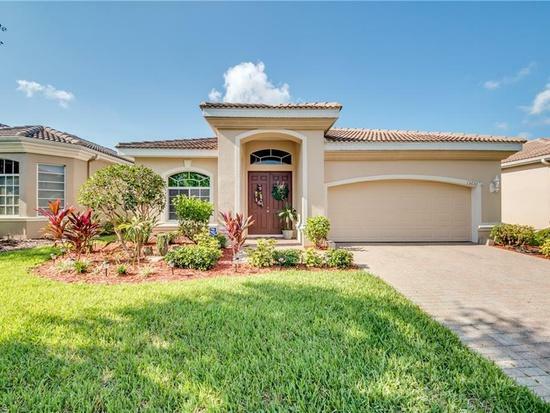 Exceptionally priced single family home is South Fort Myers and sought after resort style, Laguna Lakes subdivision. Popular and functional split floor plan great for family living. Property is lovingly maintained and squeaky clean! Open kitchen with upgraded cabinets fit for any chef to make home. Beautiful, neutral flooring and large private lanai. Come experience this popular, highly coveted gated community with spectacular resort style amenities. Laguna Lakes in close to beach and perfect in proximity to all that is happening in the area. Sought after gated community with plenty of sidewalks, tennis courts, swimming pool, playground, and clubhouse. Don't miss out on the great opportunity to make this your forever home!"